Makis Baklatzis comes from the Northern-Greek city of Kavala and started to play the violin at the age of eleven. In 2009 he graduated from the University of Macedonia in Thessaloniki with the "Greek traditional" violin as main subject. In 2017 he successfully completed his master's degree at the Rotterdam Conservatory (Codarts). He plays Greek traditional music at parties and concerts and is active in various bands. Giannis Karakalpakidis comes from Thessaloniki. This expert in Balkan music plays in various bands from the North of Greece. Some might remember the Niriis concert in February 2017, the Greek occasional band that included Wouter Vandenabeele in addition to Giannis. 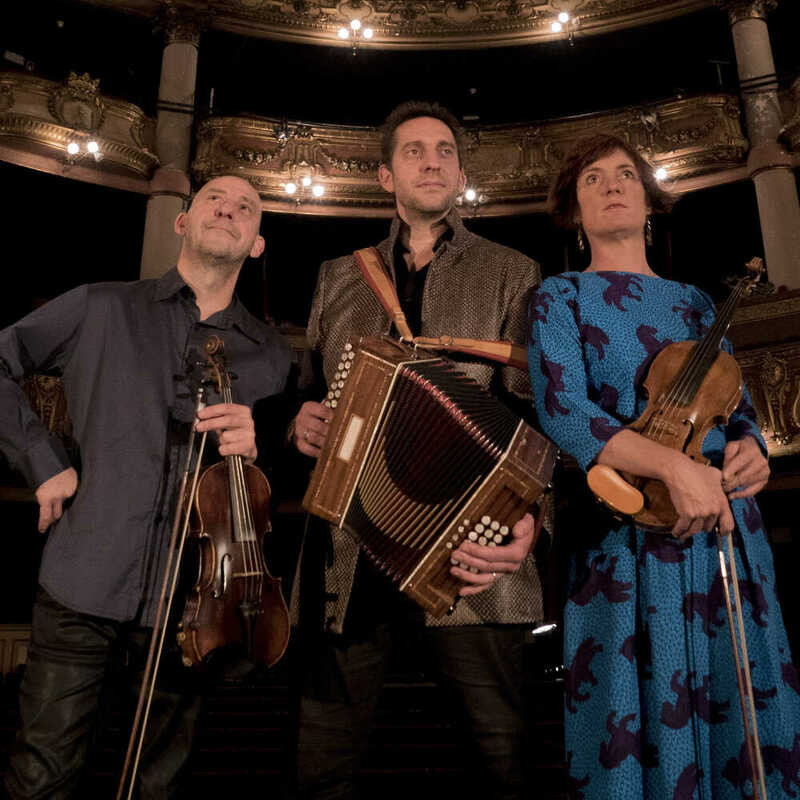 TRIO TRAD brings surprising, personal compositions, makes a detour via Bach or Couperin, to naturally return to the sweetness of a wedding dance from Transylvania. They recognize the essence of that music. TRIO TRAD, that's 25 years of collaboration. They explored the roads and the stages in Europe, Canada and Africa. They played with internationally renowned artists such as José Van Dam, Bernard Foccroulle, Coope Boys & Simpson, Perry Rose, Jean-Christophe Renault, Jacques Pirotton, Gabriel Yacoub, Steve Houben, Ialma, Laïs, Wannes Van de Velde and of course Panta Rhei. The trio is characterized by a high musical level, the fun of the game and the musical cross-fertilization.